Today’s guest is Robbie Samuels, bestselling author of Croissants Versus Bagels: Strategic, Effective and Inclusive Networking At Conferences. 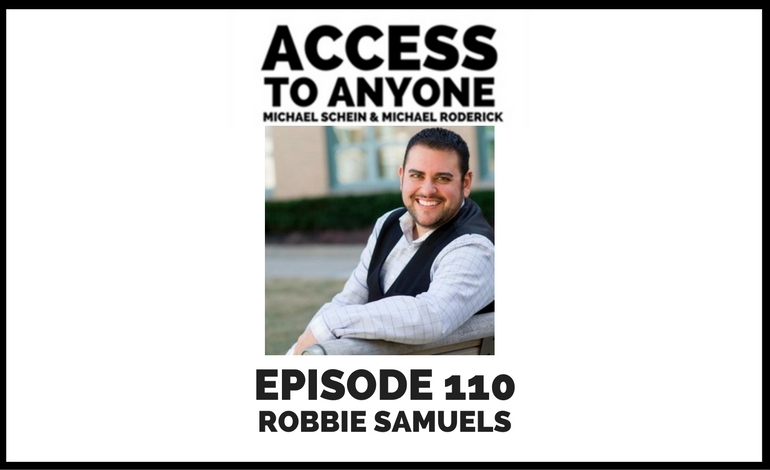 As an executive coach, speaker, author, and host of the On the Schmooze podcast, Robbie Samuels shows how to shift your mindset to become more strategic, effective, and inclusive, to help you build great relationships and to develop a more diverse and vibrant professional network. After decades of attending events and conferences, Robbie came to realize that most people are wasting their time networking. They are attending events with no strategy, collecting business cards with no clear plan, and losing business or missing opportunities for greater engagement by failing to follow-up. Robbie takes care to break down the steps necessary to successfully manage the vibrant chaos of these networking opportunities.